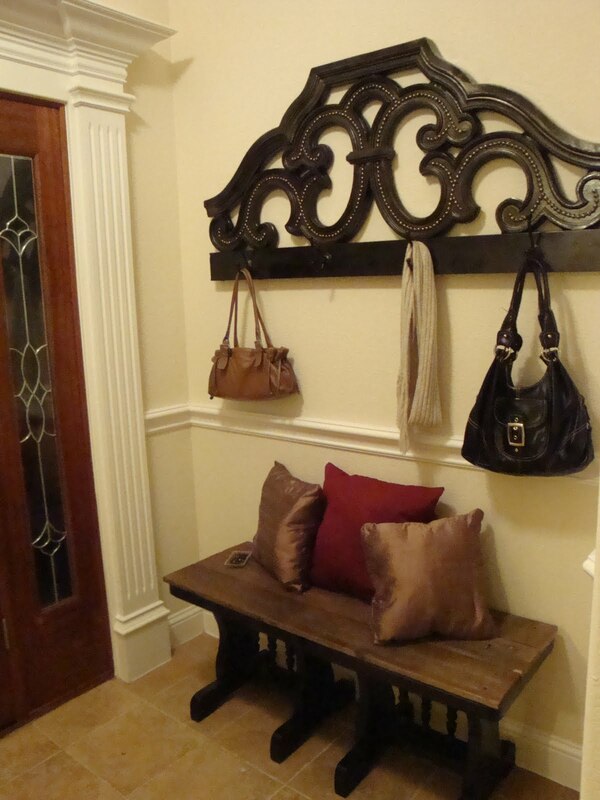 Cutting corners when it comes to home decorating can lead to some brilliant discoveries. For instance, you are more creative than you thought, you can still use that stuff you thought was junk, or better yet you know how to use a glue gun! As many of you know, taking on the challenge of making things yourself or repurposing materials you already have can be taxing, but the payoff is totally worth it. 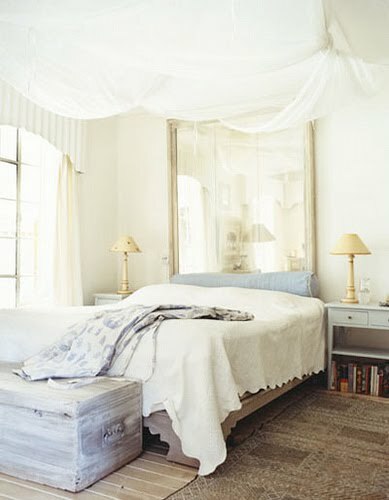 Take these different headboards for instance. One wouldn't typically think that these would work as well as they do, but they are interesting resolutions to to where you lay your head at night. A hollow core door was used in this pic. It's an easy way to get something substantial without having anything custom cut. You can paint it, add fabric, add upholstery tack detailing, etc. The possibilities are endless! For a little drama and glamour add a mirror. A large mirror like this one will make your space seem larger and throw more light around the room. Using a glass mosaic is very beautiful, but can be extremely time consuming. Instead, try breaking a panel of tempered glass for a similar look. Check out the HGTV version I designed on "Hammer Heads" below. Wood gives a warm feeling to any room, and this example gives a traditional material a contemporary feel. 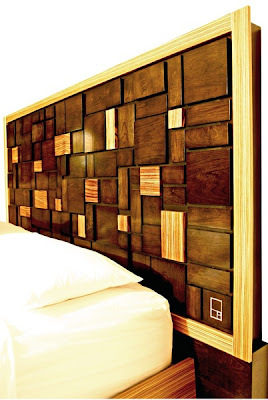 Also, just for fun...Don't want to get rid of your old headboard? Recycle it like this Do-It-Yourselfer did. You could also use it for the back of a bench, as an accent behind your minibar, part of some interesting wall lighting, etc. Spice it up with a little Suzani!